The Parkinson’s Community Los Angeles (PCLA) presents a full day of free seminar for Parkinson’s patients, families, care partners and healthcare professionals. Topics include: ‘Parkinson’s: living beyond the basics’ and ‘The upside of the downside: overcoming the symptoms of depression, anxiety and apathy in PD’. This year’s speakers at this biennial conference series by Parkinson’s UK include: Dr Sarah Threlfell, University of Oxford, Dr D James Surmeier, Northwestern University and Dr Alastair Reith, GlaxoSmithKline, Pharmaceuticals R&D. They will speak on topics such as clinical trials, animal models and treatment options. Visit the Newburgh Brewery to sample its beer and taste food from local restaurants. A silent auction will help to raise money for the Michael J Fox Foundation. The ticket price includes: entry, food, live music, a raffle ticket and a riverBREW T-shirt. Public health researchers, academicians, policymakers and practitioners from all over Europe will present more than 750 scientific papers at over 100 sessions focusing on the latest public health challenges. 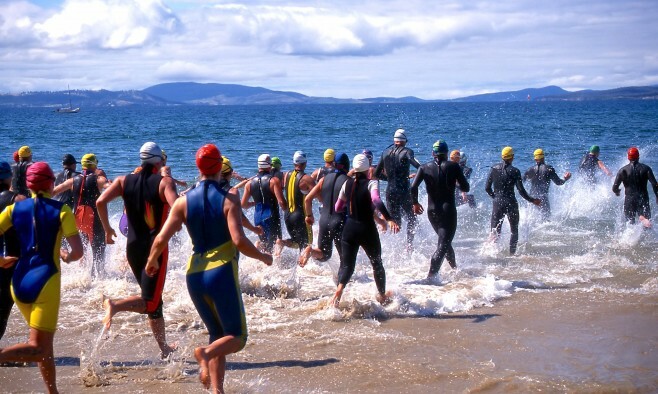 Cheer on athletes as they compete in the International and Half Iron Triathlon, Duathlon and Aquabike races and raise money for Parkinson’s causes. Hosted by BBC Scotland Arts Correspondent Pauline McLean, this event allows ladies to take a seat in the Grand Central Hotel in Glasgow and enjoy the entertainment and superb shopping stalls while meeting friends and raising money for Parkinson’s causes. Join EPDA stakeholders as they discuss how the composite scale can be rolled out across Europe. The meeting will gather clinical bodies, patients, healthcare professionals and EU decision-makers ask whether it’s time for a new policy direction and consider what should be done at EU and national level. Join the Cure Parkinson’s Trust for an evening with Northampton Saints rugby stars Gavin Hastings, Mike Tindall and Jim Mallinder. The evening will be hosted by Graham McKechnie of BBC Radio Northampton. Tickets are £35 and include a bangers and mash supper. As technology enters our lives in more and more ways, the annual MedTech conferences explore the technical, regulatory, commercial and ethical questions posed by the revolution in the burgeoning medtech sector.